Looking for a delicious cinnamon roll for a great weekend breakfast? Well look no further! 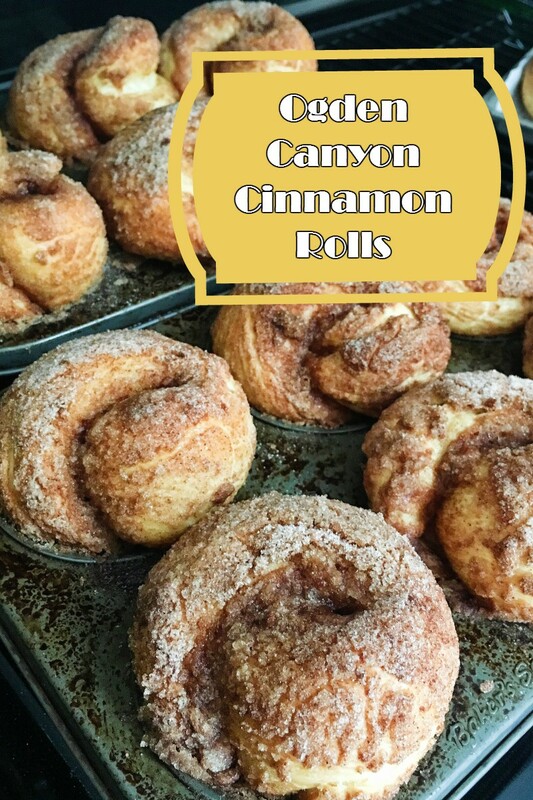 Unlike the cinnamon rolls we generally find which are slathered in icing, these are inspired by a great restaurant in Ogden Canyon called The Gray Cliff Lodge. The rolls there are a sweet dinner roll, rolled in cinnamon sugar and baked to perfection. We absolutely love them and decided to try our hand at recreating them at home. The secret to making these rolls, if you don't want to get up incredibly early to make the dough, is to make the dough the night before and allow them to slow rise in the refrigerator overnight. Then, when you're ready to make them, you only need about an hour from fridge to table! Hot out of the oven and slathered with butter- these cinnamon rolls are to die for. Give them a try and trust me, after you see how convenient it is to slow rise in the refrigerator, you may be making breads far more often than you ever thought possible! Make the dough the night before! Otherwise, plan on adding an hour and a half or so to the process. In a large mixing bowl combine all of the dry ingredients, measuring the flour using the scoop and sift method described in the "Easiest Home Baked Bread" post and set aside. Warm the milk and water in the microwave until it's between 100-110° F and when it's ready add the butter to it, allowing it to melt. Once it has, whisk the egg into the liquid ingredients to incorporate. No need to dissolve yeast! Using the dough hook on the stand mixer, or a sturdy spoon, add the wet ingredients to the dry and mix until the dough forms a ball which leaves the sides of the bowl. If it is too wet, add flour a little at a time until it does. Knead for 7-10 minutes then form into a tight ball. Spray the bowl with oil and return the dough ball to it, then give the top of the dough ball a light spray. Cover with plastic wrap and put it in the refrigerator to rise overnight. The next morning the dough should have doubled or more in size. Preheat the oven to 375° F. Remove the dough from the bowl and begin to portion the dough into individual rolls. I weighed them out at 3 oz. each and ended up with 15, but you can divide the dough in half and each part in half again and again until you get the rolls to a size you like. If I was serving these as a side at breakfast, or with dinner, I'd likely make them 1.5 to 2 oz. apiece. Leave them sit on the counter while you prepare the cinnamon sugar mix. Melt the butter in the microwave or a small saucepan, then grease the muffin tins. Alternatively, you could use a spray oil for this. Mix the sugar and cinnamon in a container which you'll be able to toss the rolls in. 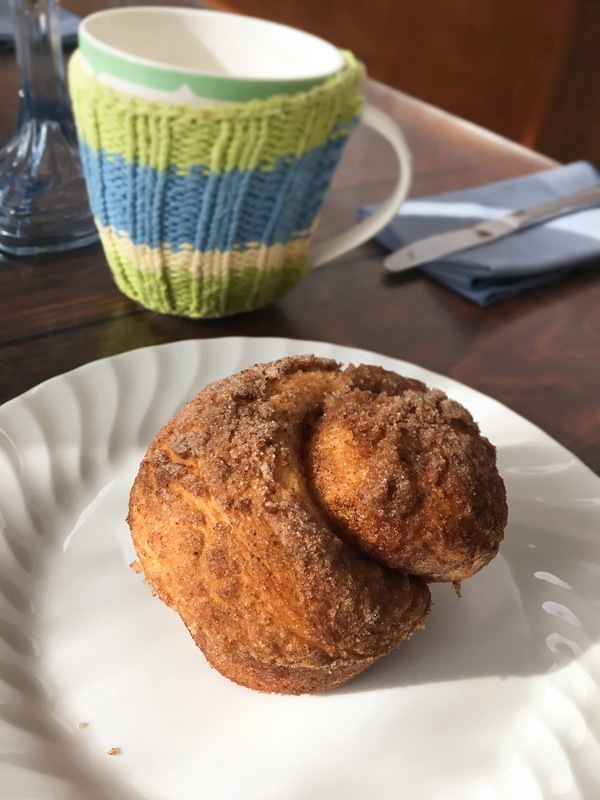 I don't generally measure the sugar and cinnamon- I just mix together whatever seems to look right to me, so if you want more cinnamon, go for it! Once you've got the tins greased, roll each roll into a rope about 6-7" long. Coat it in the butter (this is where using a larger vessel comes in handy; I just toss them in the melted butter and use the brush to remove any excess) then coat in the cinnamon sugar. You may have to stretch them back out a bit to get the ropes back to the 6-7", just a little tug will do. Then take the coated roll and twist it into swirl, tucking the ends underneath. Let the rolls rise for about 20 minutes. Once they have risen again, slide them into the center rack of the oven and bake for 30 minutes or until the internal temperature reaches 180 degrees. Remove from the oven and let them rest for about 5 minutes before serving. Those few extras I had were tied into knots and placed on a small parchment lined sheet pan. They baked perfectly alongside the muffin tinned ones. Slather in butter or eat them as is and enjoy heaven in your mouth. Leave me a comment and let me know how they turned out!